* Our attractive Tree of Life Personalized Cross is simple yet classic, featuring a brown wood-grain background with delicate white flowers. 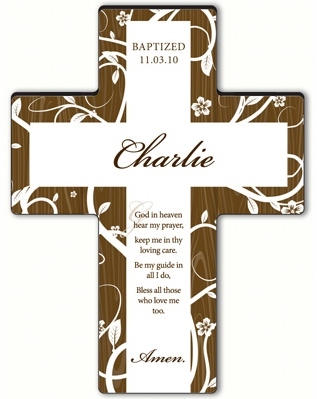 * Appropriate as a wedding or baptismal gift, or even as a housewarming present, this personalized cross features a choice of nine short prayers and the name of the recipient written in handsome script. 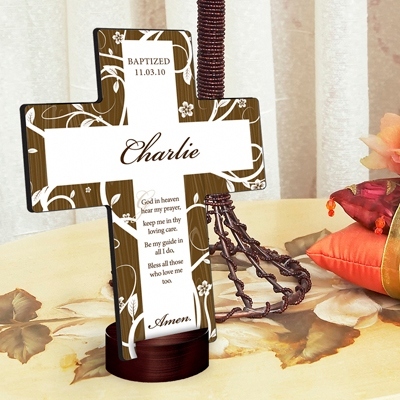 * Stand included for more display options.